Do you know Jim Croce’s “Time in a Bottle“? (You Tube of this song) Granted, I was just a wee toddler when it came on the radio, but it’s an old favorite of mine. For one thing, I actually “never seem to have enough time, to do the things I want to do, once I find them”. (Take note: this rather meek blog of mine.) Then too, the idea of capturing time in a bottle somehow rings true to most people. Doesn’t it? Imagine your sweetest memories… who wouldn’t want to preserve them. And there never really is enough time. 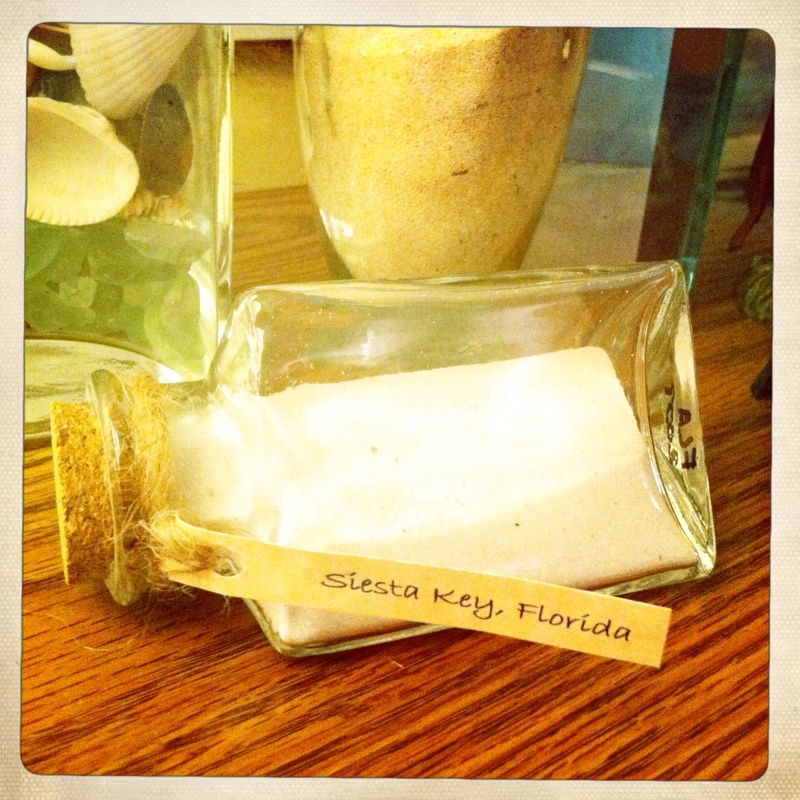 So it seems, with Sand on the Brain as I have it… that I save time in the form of Beach in a Bottle. It must be the Psammophile in me.